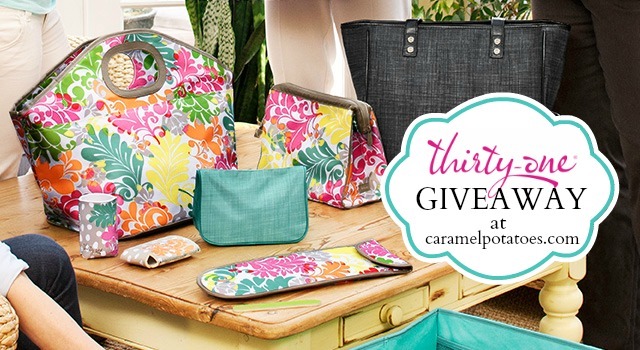 Caramel Potatoes » Thirty-One Giveaway! To top it all off: Thirty-One is introducing a line of new purses this month, and in honor of the event, is offering a special deal. For every $35 you spend, you can pick up a purse for half-price! You’ve probably seen people lugging their stashes of bulk foods around Costco in the Large Utility Tote. These are a great solution for grocery shopping, along with trips to the pool, kids’ sports equipment, or anything else. Paired with the Single or Double Thermal Organizer, you’re set for a day in the sun, or ice cream that doesn’t melt on the way home from the store. The Timeless Beauty Bag was designed for toting cosmetics, but makes the neatest little car organizer. Hang it off the back of your seat, and your kiddos will have easy access to crayons, small toys, books, and best of all, a clear pocket that fits an ipad or mini-dvd player perfectly! With back-to-school looming, home organization is on everyone’s mind. The Hang-Up Family Organizer makes a terrific “command station” and has a white board, a place for a calendar, pockets for permission slips or homework, and slots to stash scissors and pens. Keep yogurt and sandwiches cool in a Thermal Lunch Tote–add a personalization, and you’ve earned yourself a half-price purse while sending your little scholar off with a nutritious meal that won’t give her food poisoning. Now, the decision is . . . Which purse should you pick up for half-price? The Organista Crossbody has a secret pocket just the right size for your ipad or Kindle, and is hard for someone to nab since it fits across your body. The Retro Metro and Casual Cargo Purse both make great purses that can double as diaper bags. Check out Nicole’s Website to see all the delicious Thirty-One Styles or email her at nicole_barney1@yahoo.com to book a party. Leave a comment and tell us one of your favorite Thirty-One choices. 1. Join Nicole’s Thirty-One Facebook Group and leave a separate comment below. 2. Book a Facebook Thirty-One Party with Nicole and leave a separate comment below. 3. Like Caramel Potatoes on Facebook and leave a separate comment below. 4. Follow Caramel Potatoes on Twitter and leave a separate comment below. 5. Share this giveaway on Facebook, Twitter or another Social Media and leave a separate comment below. Contest ends, August 11 at 11 p.m. (CST) Winner will be announced on this blog, Monday, August 12 and contacted by email. The Inside Out Bag is one of my favorite Thirty One products. So sad it’s retiring. I really like the picnic thermal tote in the spirit maroon color. How fun! I love the Large Utility Tote. By far my fave. 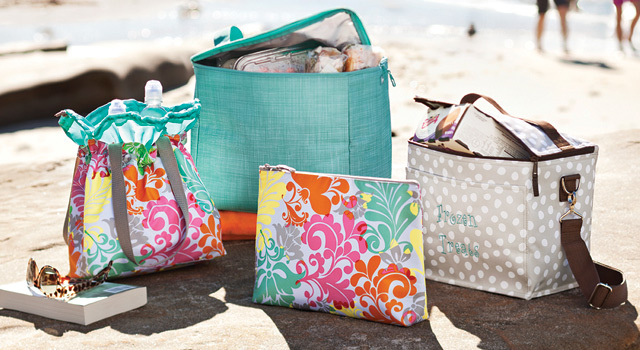 I LOVE the large utility totes – great for the beach and big grocery trips!! I love the Large Utility Tote in spirit red! I love the Timeless Beauty Bag in a turquoisy color! I would love the utility tote with the University of Alabama logo. I have a 31 lunch tote with shorter straps then shown. I love it. I do like the beauty bag to be used for other organization. I like the black floral Thermal Tote. I like the Cinch Bags – thank you. I love the large utility totes they are so handy! I like the Free To Be Carry All. I like the utility totes. I like the about town blanket! My favorite product is The Hang-Up Family Organizer. It would be awesome for my college dorm. The thermal lunch tote is cool! I love the large utility tote in black floral brushstrokes. I love the large utility tote in pink pop medallion! My favorite is the timeless beauty bag in turquoise! I have it with hot pink monogram and it is so great to travel with! I adore #3003 Soft Wallet in Black Pick Me Plaid. I have joined Nicole’s Thirty-One Facebook Group under Elaine Rosser. I really like the Cindy Tote. I have a utility tote and love it, so many pockets! One of my favorite Thirty One items is their Soft Wallet Product # 3003 in the black pick me up plaid. I like the elite retro metro bag. Hi! I like the Shoulder Organizing bag! I liked Caramel Potatoes Facebook page. I love the skirt purses. I joined her Fb page. i like the picnic thermal tote in the spirit maroon color. My favorite thirty one product is the timeless beauty bag! I absolutely LOVE it and use it everyday! I am in love with all of my friends’ varied use of the large utility tote and I have been absolutely dying for one of my own! Got my MIL the super organizing utility tote for Christmas, and she uses it as a teacher bag now and gets compliments on it daily! I joined her thirty-one Facebook group! I like the Retro Metro Bag. 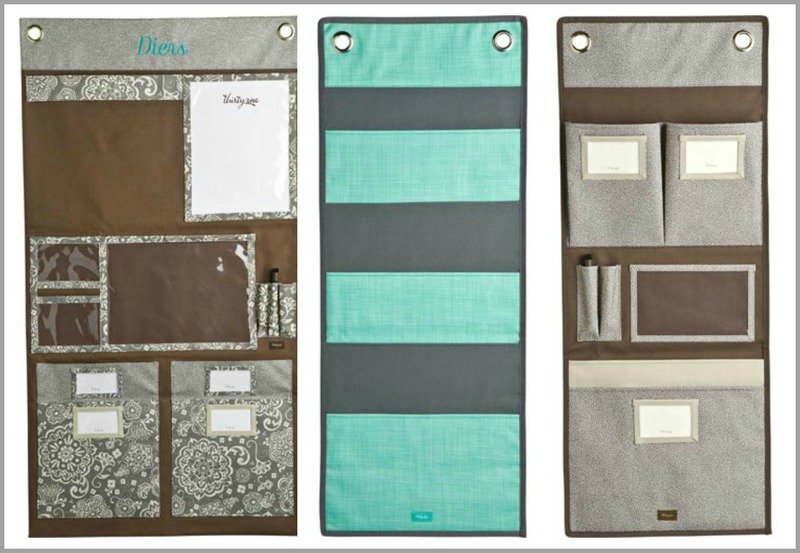 I love the Organizing Utility Totes…can’t live without mine! I think the organizer is my favorite! I joined Nicole’s group as billsn beaks. I like the Large Utility Tote. Looks like it could carry just about anything. I Liked Carmel Potatoes on Face Book. I Shared On Face Book Under LeeAnn Perry. My favorite item from Thirty One is the large utility tote in pink pop medallion. I love the large utility tote. I use it all the time and transport it virtually everywhere I go around Christmas. I love the Super Organizing Tote. I really like the About Town Blanket (in orange!). It’s perfect for going out with my little one. I joined Nicole’s Thirty-One Facebook Group. I’m following Caramel Potatoes on Twitter @lisalmg. My favorite is the Large Utility Tote, I use it for evvverything! Joined the fb group for Nicole’s customers! – kelynnma m.
I liked Caramel Potatoes on fb – kelynnma m.
I love all of the Utility Totes. So big and easy to carry stuff in. My favorite is the Free To Be Carry All. I like the free to be soft wallet. I like the large utility tote. I have one and love it. I like the oversized storage organizer. I joined Nicole’s Facebook group. I like the Keep-it Caddy in Island Damask and the Large Utility Tote in Pink Pop! I like the overnight big bags. I like so many things. The dog leash and the thermal totes really stand out. I love the patterns and colours! I love the Free To Be Carry All. I love the large totes! I love the Inside Out bag in Lotsa Doots.